How about you can arm engineers too but they dont do as much damage and dont fire as frequently as TAC. actually I hadn't even encountered the fireants when I took this, I was halfway through black hole level. I'd been trying the strategy of just having everyone in the weapons rooms, not bothering to repair the ship. The damages accumulated quickly lol. 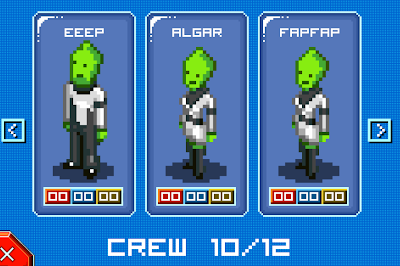 Topic: Best names you have seen of crew members? Re: Best names you have seen of crew members? You can tell a lot about a captain by his ship. In that case, I'm on fire. We'll need to equip the ship with harpoons then. Topic: What's the name of your ship and captain? Re: What's the name of your ship and captain?